I wanted to get this posted last night, but I was just too tired. And when I'm tired I never do a very good job of blogging. We've been really busy at the gallery and shop, but we're having fun and making new friends, so no complaints. 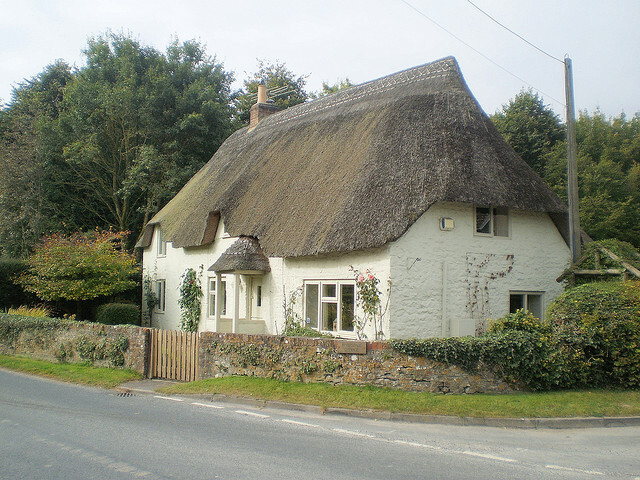 With that said, how about that thatched roof cottage above? Isn't it wonderful? I love the quaint brick wall with the greenery, and the picket gate. 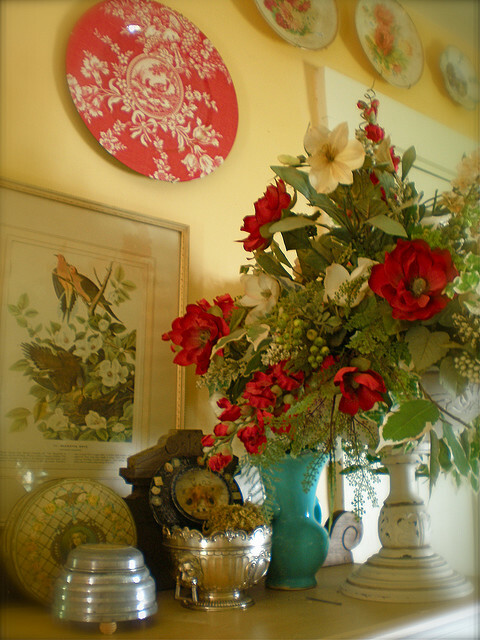 Did you catch the pink roses next to the front window? Lovely. 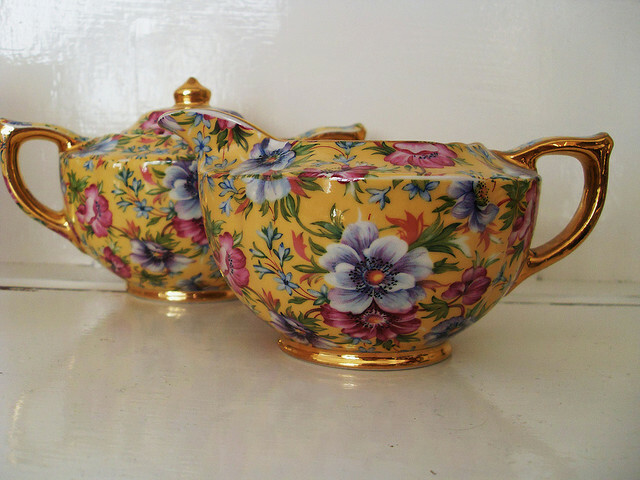 Of course every lovely cottage needs pretty things inside, so I did a little cyber browsing today and discovered some delightful items. (This is how I relax and it's less expensive than a trip to the spa.) Here's what I found. Photo of "Shelley" by "two pink possums": http://www.flickr.com/photos/twopinkpossums/2808005934/in/pool-43567671@N00/ Some Rights Reserved. Photo "Glasses" by two pink possums:http://www.flickr.com/photos/twopinkpossums/2766555961/in/set-72157594240353692/ Some Rights Reserved. 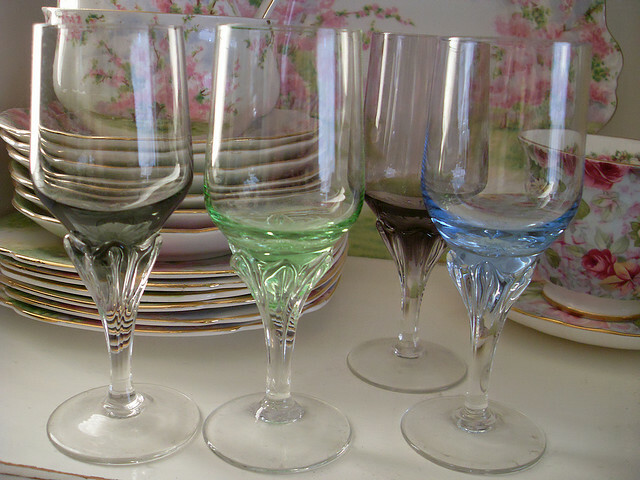 Delightful stems on these glasses. The green and blue is pretty, don't you think? I'm crazy for these Italian made glasses. Seeing them makes me want to make real lemonade and invite a friend to sit with me under a shady tree in the corner of a cottage garden. 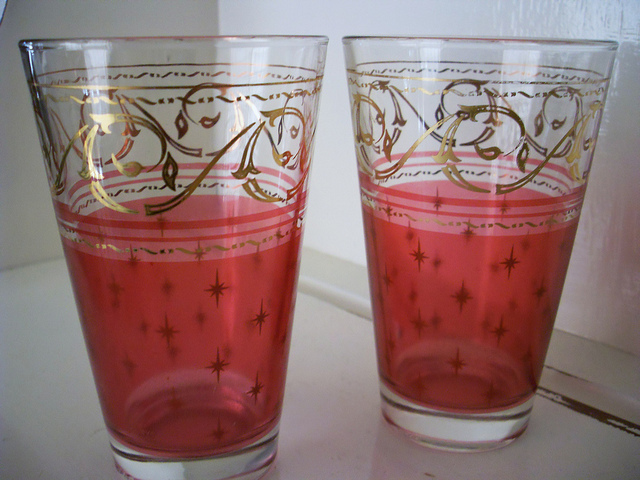 Of course we'd have to sip from these exact glasses. Photo "Cream and Sugar" by two pink possums: http://www.flickr.com/photos/twopinkpossums/3751218627/in/photostream Some Rights Reserved. If someone walked into my shop with these, I'd buy them in a heartbeat for myself. 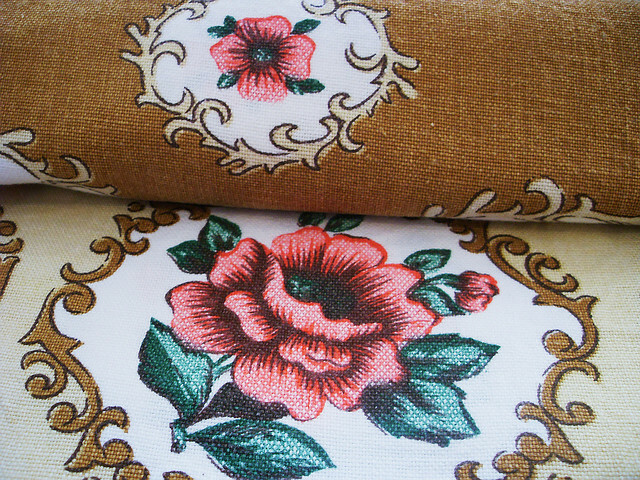 The pattern is Sophie Chintz from James Sadler. So pretty. Green and rose is a very nice color combination. Photo "Linen" by two pink possums: http://www.flickr.com/photos/twopinkpossums/4442745846/in/set-72157594240353692/ Some Rights Reserved. Interesting texture. Have you noticed a repeating theme here? Roses, roses, roses. I never tire of them. 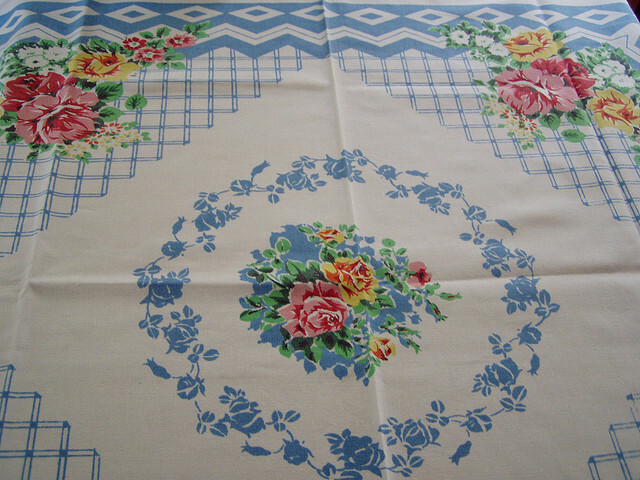 Photo of Vintage Tablecloth by two pink possums: http://www.flickr.com/photos/twopinkpossums/1565335271/in/set-72157594240353692 Some Right Reserved. 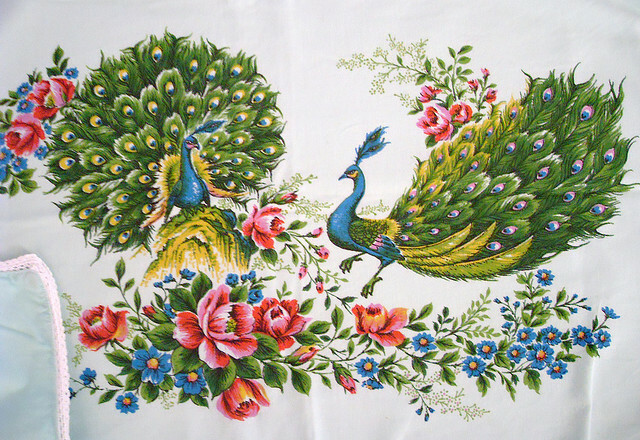 I see this cloth on a porch table dressed for brunch with glass tableware to allow the charming design to show through. 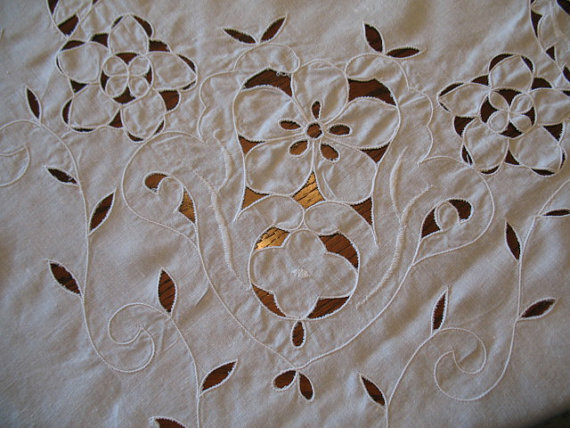 A lovely cutwork tablecloth. 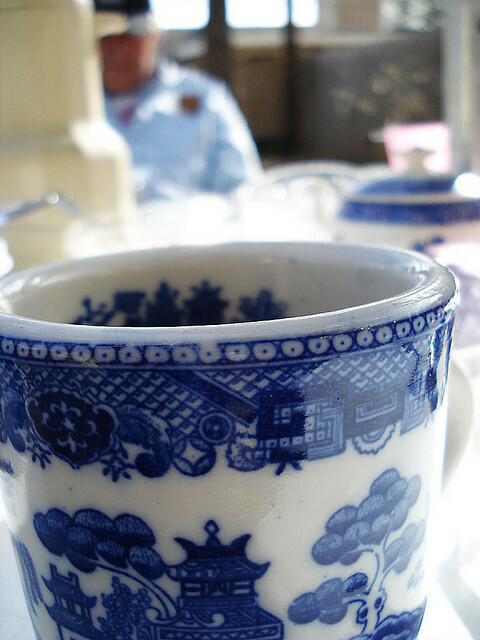 This would be pretty with blue and white dinnerware. "Pillowcase" by two pink possums: http://www.flickr.com/photos/twopinkpossums/2764787490/in/set- 72157594240353692/ Some Rights Reserved. Sweet dreams on this vintage pillowcase. Gorgeous colors. 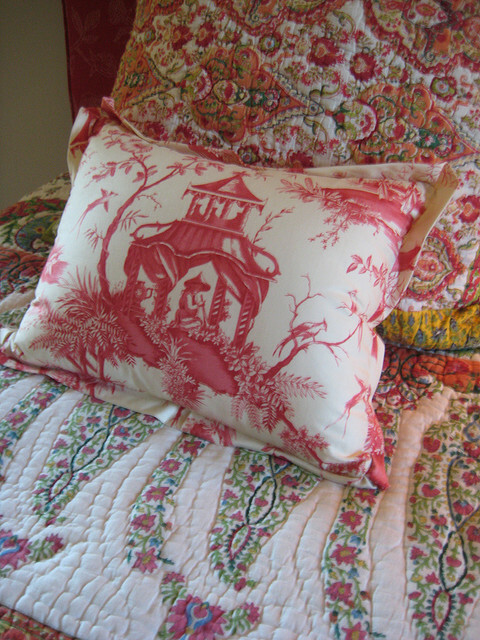 I was just talking to a client this week about mixing textile patterns. Now matter what the designs, if they are in the same color family they work. Just as this does. I'm kind of coveting that red plate. Love how it pops on the yellow wall. Beautiful flower arrangement, too. 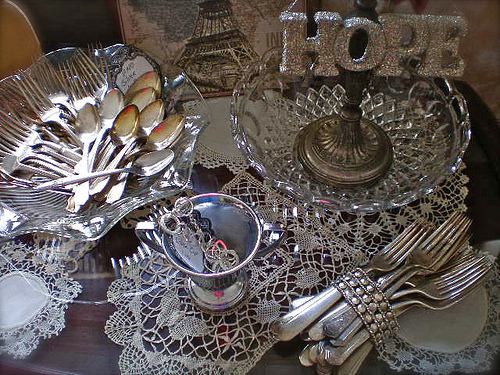 Just the right amount of bling in this vignette, in my opinion. As I mentioned earlier, we've been very busy at the shop. A lovely couple purchased Dennis' oil painting "Sundance Mountain". This garden table went home with the same couple. The table was crafted completely of recycled material by a local artisan. I'm so happy to know it will be enjoyed for years to come by the new owners. This is the painting Dennis is working on now. Hope you're having a dreamy weekend. Hello Nancy! 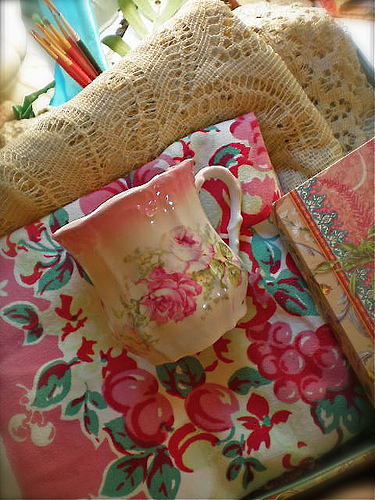 Oh goodness what great photo's but I especially love the chintz cream and sugar. The paintings are wonderful...they remind me of British Columbia where I moved to Kansas from. When I see photo's or paintings such as these they make me miss the mountains again. The table is beautiful too...I love the tile and the texture. OH...almost forgot...I'd give my eye teeth for that thatched roof cottage...that's my dream to live in one of those :) Enjoy the rest of your weekend! I, too, am missing the Rockies, and the paintings are a very cool reminder. 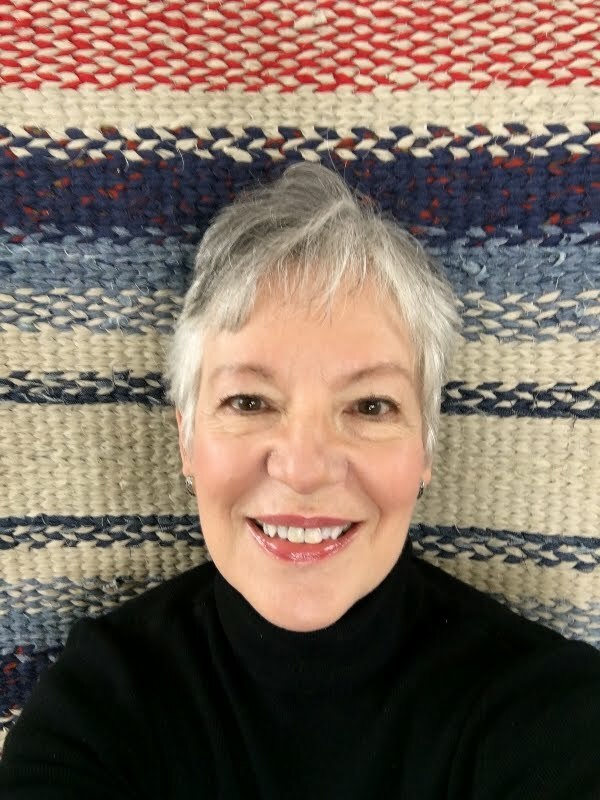 I am visiting from Thee Blog Hop and I am a new follower! I hope you will drop by http://www.garagesalesrus.blogspot.com/ and do the same. Lovely stuff! Found you through the blog hop, new follower! Charming photographs! 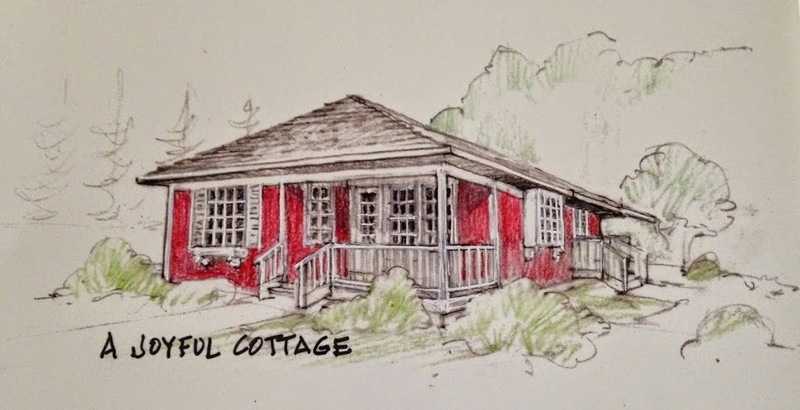 That cottage is very sweet. Dennis's most recent painting is so intricate and interesting! Hi Nancy, wow there are some things there that I am coveting. I know, thou shalt not covet. I'll do my best dear Lord. Love, love that red plate too. 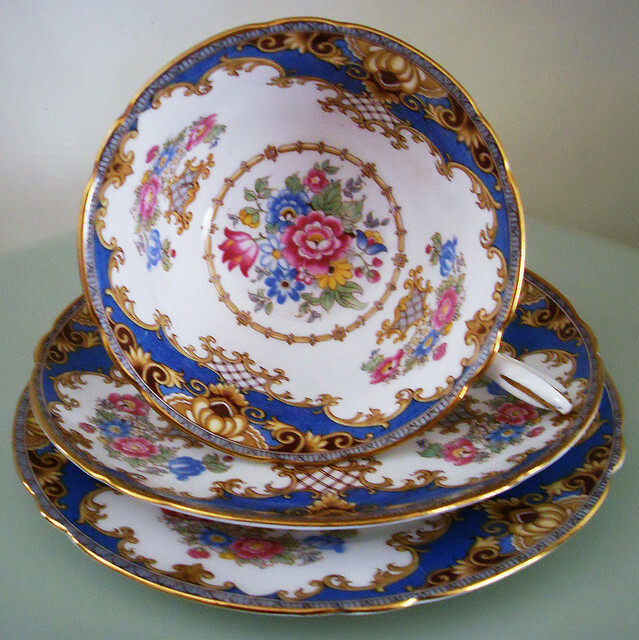 And that vintage china is just gorgeous! Now I have to ask, Is that Sundance mountain in Provo Canyon in UT? I live in Alpine, UT. I need to read your bio. Your hubby is a fantastic artist. Oh and by the way, I could move right into that cottage and be one happy lady. Hi Jann, this is Sundance Mountain in Rocky Mountain National Park. It's about 12,000 feet and can be seen from Trail Ridge Road. We live in Estes Park, about 10 minutes from RMNP. Thanks for visiting and taking the time to comment. I'm hopping over to your blog now. Blessings. 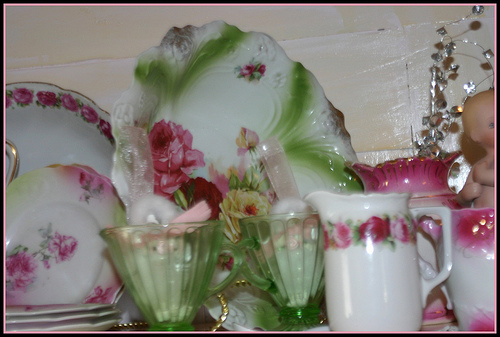 I love how you furnished that adorable cottage with beautiful dishes. Wonderful thatched roof. I could so live there. I'm stopping over from the blog hop and this is beautiful!